Did you hear the Word on the Reef? Check out the latest Word on the Reef issue! See how different community groups are getting involved in coral reef management and conservation. We’ve welcome a couple of new partners who are committed to protecting Guam’s marine environment by learning, exploring through different activities. Summer is almost upon us! 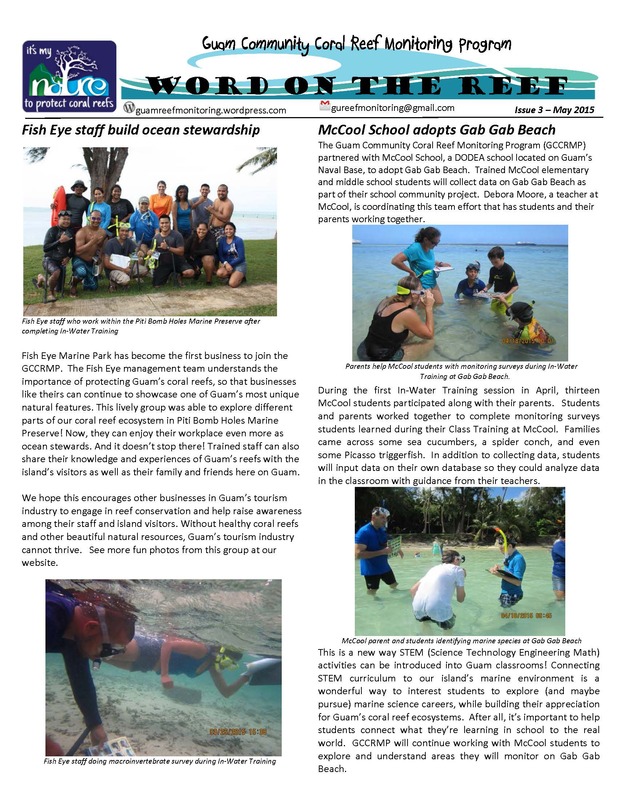 In this issue, we’ve shared a few opportunities for Guam students to connect with Guam’s environment in very meaningful ways. So there it is! Read it for yourself and remember to Spread the Word on the Reef. Enjoy WordontheReef_May2015! Click on link for full newsletter. Photo below is only front page.